Some 37 million to 50 million non-compliant cylinders remain in circulation across the country. Unprepared for the surge in demand following this past spring’s April 1 NFPA 58 compliance deadline, valve manufacturers are backlogged well into the fall, leaving a nationwide cylinder shortage unlikely to improve through the summer grilling season. According to the National Fire Protection Association’s Code 58, propane cylinders between 4 pounds and 40 pounds capacity must be equipped with an OPD valve. The device – similar to a float in a toilet tank – ensures that a cylinder is only 80 percent filled, allowing room for the gas to safely expand when heated. Non-compliant valves have round or star-shaped hand wheels (left). All OPDs, regardless of manufacturer, feature a non-removable triangular-shaped wheel (right). This OPD compliance mandate dates back to 1998, which presumably allowed the industry plenty of time to prepare for any OPD onslaught. Within the fire code enforcement arena, the situation remains fluid as events unfold. Since the OPD requirement was adopted in 1998, 28 states have adopted NFPA 58 into law. But that’s changing. Missouri has suspended enforcement of the code until Dec. 15, and South Carolina’s legislature has exempted non-commercial propane cylinders from the requirement. Ohio, meanwhile, is taking an aggressively hard line on the issue. 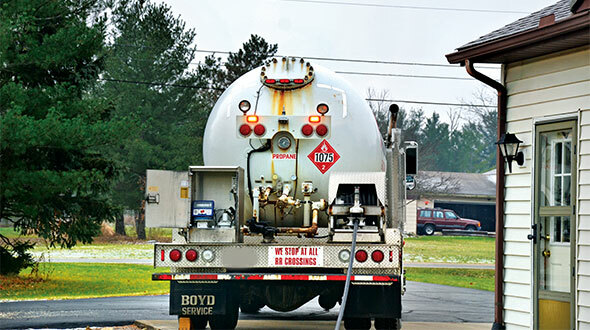 The Buckeye State’s fire marshal, Robert R. Rielage, has rejected a plea from the Ohio Propane Gas Association to delay enforcement until September. He says the industry had plenty of advance notice to prepare for the deadline. “My office has been out there since February reminding people (with non-compliant propane tanks) to do this,” reports Bill Teets, a spokesman for the Ohio Department of Commerce, which oversees the fire marshal’s office. 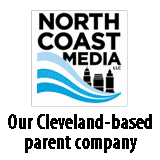 He argues that the interests of the grilling public or the propane industry are irrelevant because the fire code and its safety implications take priority. “Ohio is not South Carolina or Missouri. There has been no great hue and cry” from the citizenry over the cylinder shortage, he says. Theodore C. Lemoff, the NFPA’s senior gases engineer who helped write Code 58, says it would be “a practical option” to delay enforcement until supply has caught up with demand in light of such a widespread valve shortage. Yet he, too, feels there has been more than enough time to prepare for the deadline. 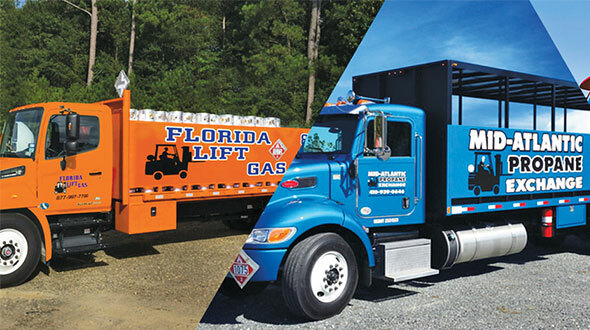 The bottom line simply is that there are not enough OPD valves available to meet the public’s demand, contends David W. Field, executive vice president for the Ohio Propane Gas Association. “The law is clear, the unavailability is clear, and the two issues collide,” he says. The new NFPA-58 regulations mean mountains of obsolete valves and old cylinders must be scrapped. Back in March, Reggie Hall, president and owner of Certified Cylinder Inc. of Crossville, Tenn., called on the propane industry to prepare broad-based radio and newspaper advertisements aimed directly at people who use barbecue cylinders. Propane dealers who merely sent out bill inserts as reminders to their existing accounts were missing the target audience, Hall contends. “The 20-pound cylinder people are not their current customers,” he notes, referring to consumers who buy propane only for grilling. Hall had correctly predicted that big trouble was brewing for the industry. “The exchange cabinets will be overrun. You won’t get a rush until people realize they can’t get their tanks filled any more,” he warned. Hall stresses that propane marketers must avoid the temptation to fill non-compliant cylinders. “Until the law says otherwise the propane dealers can’t fill them. You would be opening yourself up to a lawsuit that you would never have a chance of winning,” he says. “The backlog on orders will be around until October,” Swiecicki says. Meanwhile, cylinder manufacturer Worthington Industries of Columbus, Ohio, is reeling under the nationwide quest for OPD-equipped tanks. 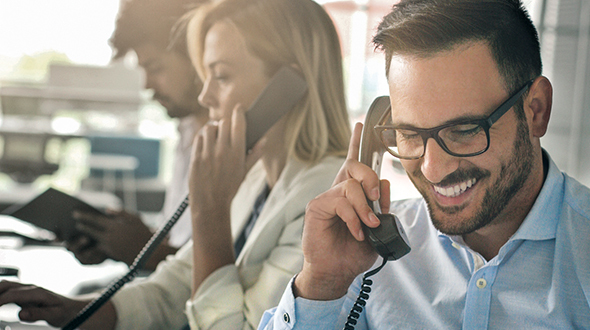 These heightened levels of demand surpass even those experienced during the buildup to the Y2K scare scenarios, says Dusty McClintock, sales manager. “These types of volumes are not normal,” McClintock says, declining to reveal specific figures. “We are running three shifts, seven days a week, 24 hours a day” in an attempt to meet customer needs. As of mid-summer Worthington had received enough valves to maintain production and avoid a shutdown. “We are living hand-to-mouth. We haven’t run out yet, but we have none to spare. It’s day-to-day,” McClintock says, noting that the shortage cuts across all cylinder sizes. In Chicago, Active Propane had pre-ordered 500,000 OPD valves along with 300,000 new tanks to service its 3,500 exchange outlets throughout the Midwest. But all of the valves have yet to arrive. As one of the largest exchange operations in the Midwest, Active has high-volume accounts such as Home Depot and Walgreen’s. The OPD shortage has forced the company to turn away customers. “We have a moratorium on any new startups,” Murphy reports. This summer’s steamy weather has thrown additional fuel on the fire. “It’s been so hot that everyone wants to cook out,” Murphy notes. Nationwide, grilling remains a hot pursuit with some 76 million households taking part. Sixty percent of the grills are fueled by propane. In 2000, more than 9 million new propane-powered grills were sold in keeping with an annual growth rate of 8 percent. Outdoor appliances such as propane-powered turkey fryers, patio heaters and mosquito control devices are also on the grow, further driving demand for the 20-pound cylinders. Murphy points out that in Chicago most of the high-rise residences ban charcoal fires on balconies, making the availability of propane critical to a public that has adopted grilling as a lifestyle rather than just a method of cooking meat. At a Home Depot exchange rack in downtown Chicago, Action sold 400 to 500 tanks in a single weekend. 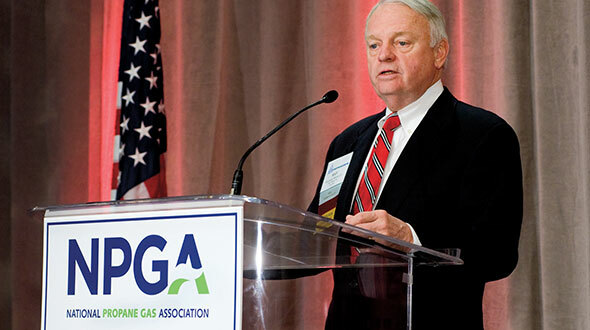 Murphy faults the NPGA for failing to adequately inform consumers – not just propane dealers – of the looming OPD requirement and its potential impact. In 1995 the exchange marketplace represented just 5 percent of 20-pound cylinders filled. It has now hit 30 percent, according to Rob Bunnell, a spokesman for Blue Rhino Corp., the nation’s largest cylinder exchange company based in Winston-Salem, N.C.
“Studies indicate that an estimated 80 percent of first-time exchangers continue to use the service as their primary source of obtaining fuel,” Bunnell says. In rural Ohio, an anonymous independent propane marketer who planned ahead was happily setting up a new exchange rack setting right next to an empty and forlorn-looking competitor’s cage. “I ordered 3,000 valves two years ago,” he explains. Blame can be affixed to consumers for waiting until after April to replace their cylinders, according to Randy Knapp, executive director of the Wisconsin Propane Gas Association. But propane dealers are responsible, too.